Australia’s first female electrical engineer was a woman of firsts. In order to gain an electrical engineering diploma, Melbourne-born Florence Violet McKenzie (then Wallace) needed to undertake an apprenticeship – so she established an electrical contracting business in Sydney in 1918 and apprenticed herself. 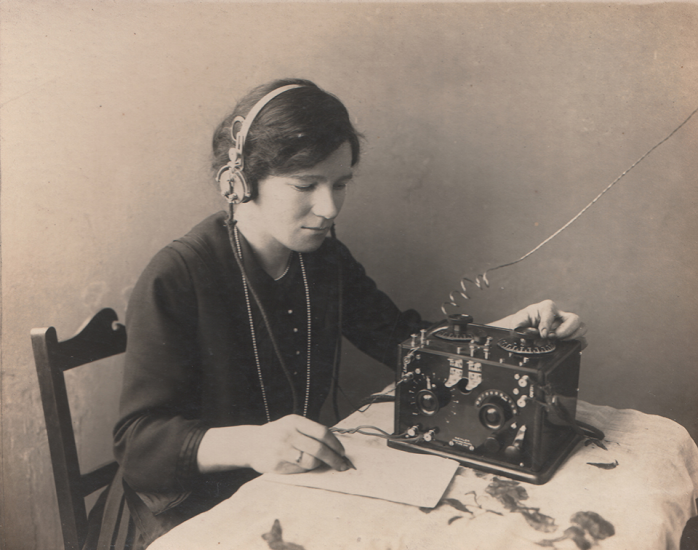 In the 1920s and 30s, as the first female amateur radio licensee, McKenzie established a Sydney wireless shop, the Wireless Weekly magazine and the Electrical Association for Women. By the 1930s she was experimenting with the chemistry of television and teaching electrical and radio technology to women. With the Second World War looming, McKenzie anticipated the demand for communications technicians. She established the Women’s Emergency Signalling Corps (WESC) in 1939, eventually convincing the government that trained women telegraphists should join the navy and airforce, and that they were competent to instruct servicemen in Morse code. The Minister for the Navy, former Prime Minister W.M. (Billy) Hughes, however, required that ‘no publicity ... be accorded this break with tradition’. By the end of the war, 12,000 servicemen and 3,000 women had been through McKenzie’s school. The WESC, in turn, became the foundations of the Women’s Royal Australian Naval Service (WRANS), which expanded to more than 2,600 members by the end of the war. After the war, and not finished by a long shot, McKenzie continued training merchant seamen and civil aviation pilots. She maintained her wireless shop until 1953, at which time the airlines were establishing their own schools. In 1950 Florence McKenzie was appointed an Officer of the Order of the British Empire (OBE) and in 1957 was elected a Fellow of the Australian Institute of Navigation. She was inducted onto the Victorian Honour Roll of Women in 2001 and a plaque at the Australian War Memorial commemorates her services.